For developers and engineers, the best way to learn something is to get your hands dirty and try making something. That is why Google hosts many hackathons around the world. Last November 17 and 18, we had a bigger experiment at Gangnam (yes, this is the very Gangnam in Gangnam Style!) in Seoul, South Korea which expanded a 1-2 day hackathon into a much longer one which we called Google HackFair. The idea was to give developers enough time (2 months) to develop something bigger and provide a nice chance to showcase their projects. 153 developers submitted 92 projects, and 40 projects were chosen from among them and displayed. Developers used many different technologies, including Android, Chrome, App Engine, and HTML5, and they completed creative and interesting projects: a remote controlled car guided by Android, a serial terminal for Chrome, a braille printer using Go, and many more! 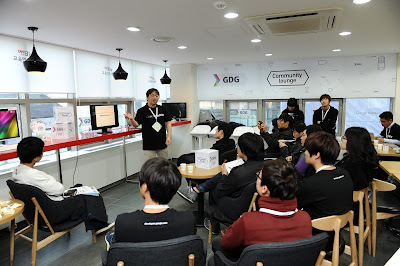 Besides the exhibition, we also prepared a mini-conference and GDG (Google Developers Group) booth where Googlers and community developers gave 27 sessions in total. More than 1000 people attended and enjoyed the Google HackFair. Although the event is finished, developers continue updating and polishing their projects. It was a great time indeed. If you are interested in details for the projects including full demos or source code, please check here. Soonson Kwon is Developer Relations Program Manager and Country Lead for South Korea. 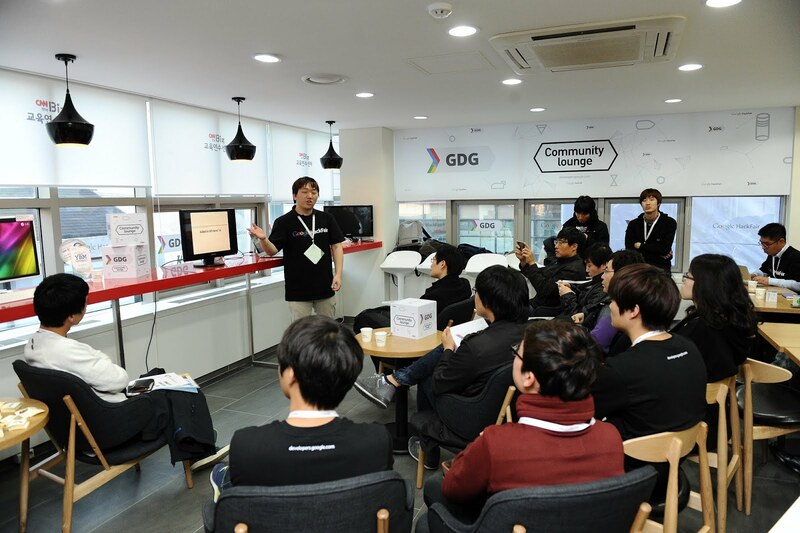 His mission is to help Korean developers make better use of Google’s developer products. He is also passionate about Open Source.